Senator Denise Grimsley has been confirmed as our Keynote Speaker for the FEHA Awards Lunch on Sat. Aug. 26th. 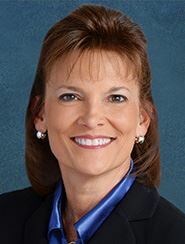 "Denise Grimsley was elected to the Florida House of Representatives in 2004, and was a leader in Agriculture and Health Care Committees, and served as the Appropriations Committee Chairman. In 2012 she was elected to serve in the Florida Senate and re-elected without opposition in 2016. She has represented the 26th district, which includes Highlands, Okeechobee, Glades, DeSoto, Hardee, southern Polk, eastern Charlotte, and northern Lee Counties, since then. She is currently on the Senate Agriculture Committee and is chair of the General Government Appropriations Committee." Dr. Ulyee Choe, DO has been confirmed as our special guest speaker at our welcome breakfast on Friday August 25th. "Dr. Ulyee Choe was appointed director of the Florida Department of Health in Pinellas County in September 2015.Dr. 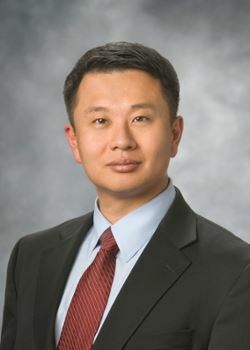 Choe currently serves as the co-chair of the regional preparedness Health and Medical Committee as well as co-chair of the Tampa Bay Health and Medical Coalition. He currently serves as the chair of the statewide STI and HIV Prevention Committee and has served as chair of the Communicable Disease Program Council and has participated in the state Medical Advisory Group. Locally, Dr. Choe serves on the Board of Governors for the Pinellas County Medical Association and the Pinellas County Osteopathic Medical Society and is involved in a number of community organizations." Sandra Whitehead, PhD of NEHA has been confirmed as our special guest lecturer for multiple sessions including "The Built Environment, Leadership & Team Building and Zika: Stories from the Field"
"Previous to working at NEHA, Dr. WHitehead worked for the National Association of County and City Health Officials where she served as the senior director of community health promotion, overseeing the Healthy Community Design and Chronic Disease Prevention portfolios. 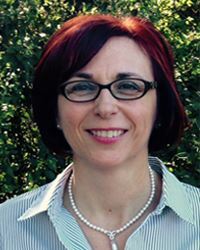 She has nearly 10 years of public health experience at the national and state level, including work with the Florida Department of Health as the statewide resource on Health Impact Assessment (HIA), Health in All Policies (HiAP) and Healthy Homes. She has led 11 HIA and has trained over 300 professionals to conduct them." FEHA is now taking applications for 2017 AEM Scholarships. Scholarship award recipients will be given admission to all classes and networking events with the exception of the CPO class and the RS Test. The deadline for turning in all applications is July 17th 2017.